We evolved the design of their original site and created a completely new navigational tool. 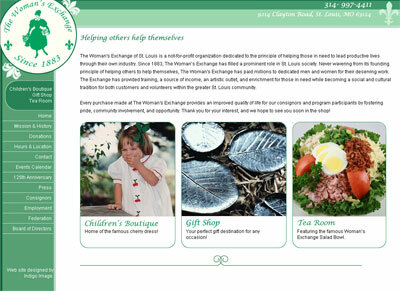 The new site features a more user focused home page with funnels to three main offering of the exchange, a children’s boutique, a gift shop and their famous tea room. The web site is configured so the client can easily update by themselves. ← Color Punch..another new theme for iGoogle users.